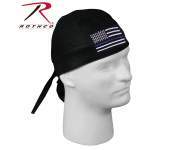 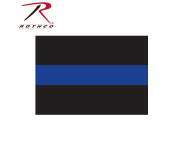 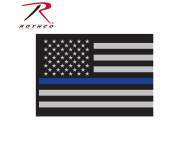 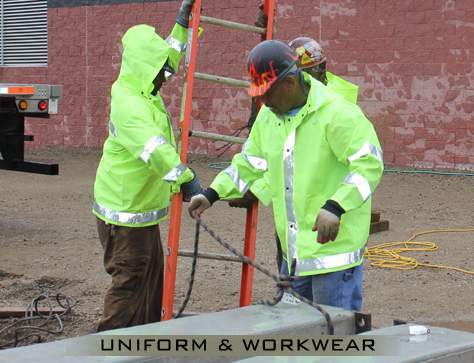 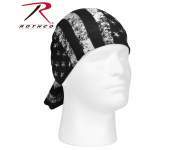 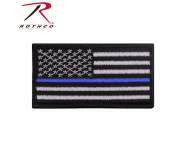 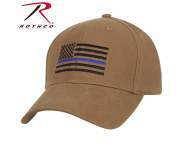 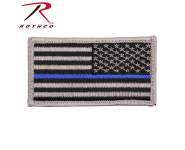 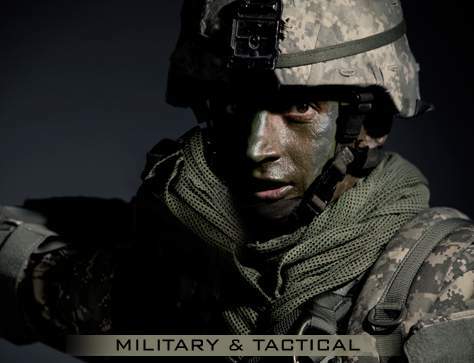 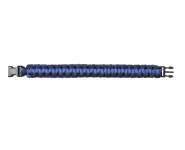 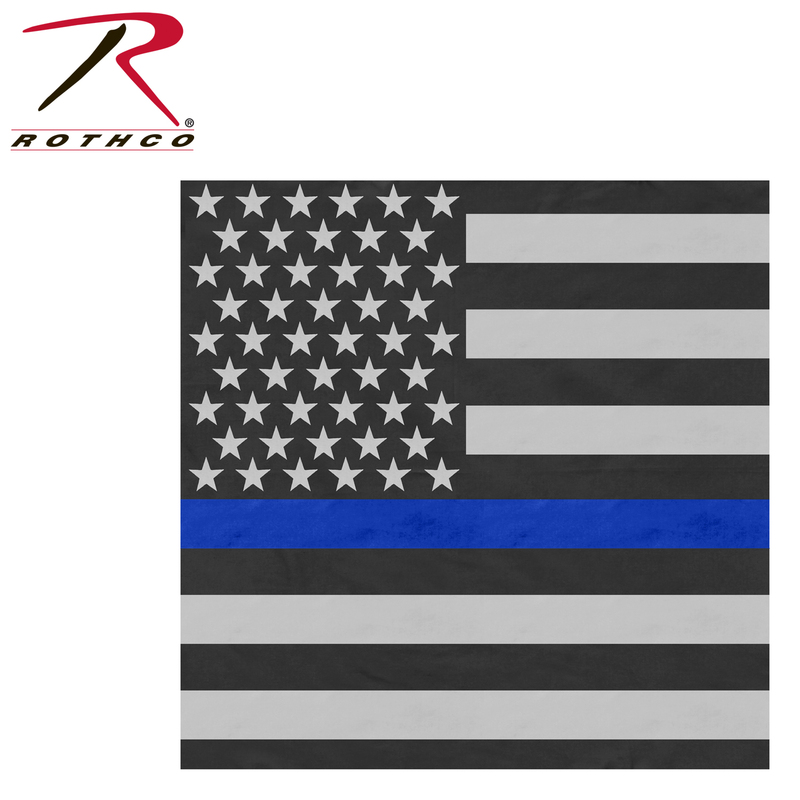 Show your support for Police and Law Enforcement Officials with the Rothco's Thin Blue Line Flag Bandana. 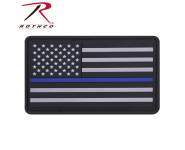 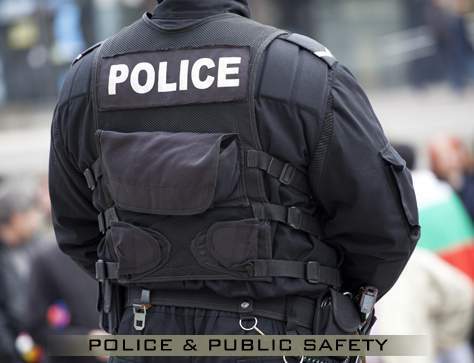 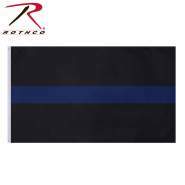 The Thin Blue Line is a symbol of respect and support for Police and Law Enforcement Officials; show your support with the Rothco's Thin Blue Line Flag Bandana. 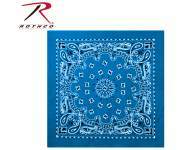 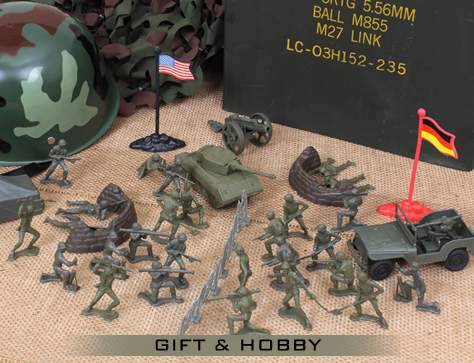 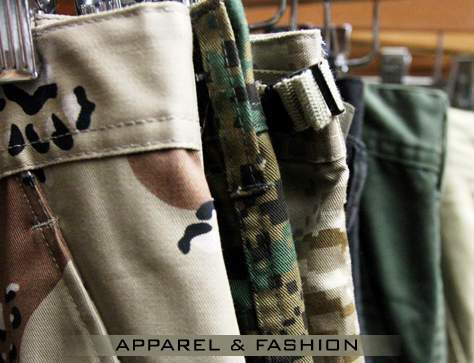 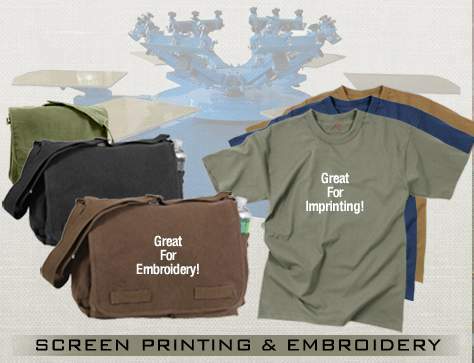 Made from 100% cotton, the bandana measures 22" x 22".